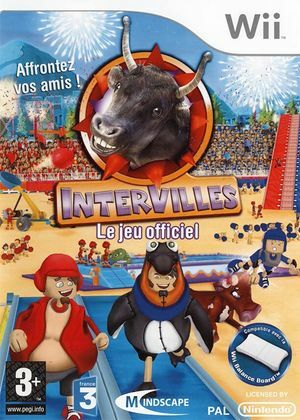 Intervilles, le jeu officiel provides the atmosphere of Intervilles in your living room. But beware, Rosa the cow is not far and her favorite pastime is to drop the candidates! Live the show as if you were there! In competition with a friend, take on the 25 challenges of your favorite show with public acclaim. Action, falls and laughs in perspective! The graph below charts the compatibility with Intervilles, le jeu officiel since Dolphin's 2.0 release, listing revisions only where a compatibility change occurred. This page was last edited on 4 February 2018, at 02:36.